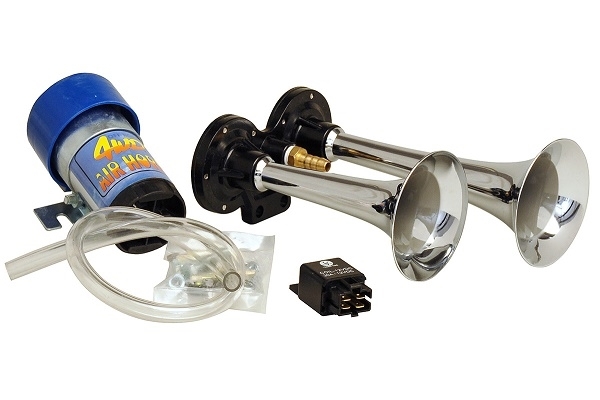 Kleinn's direct drive air horn sets are a great, simple upgrade for a factory horn. They come as a complete kit, ready for an easy install with a direct drive compressor, mounting hardware, and relay. The chrome plated metal trumpets will not crack or break like lesser products with thin plastic trumpets. They are also great for use with car alarms or motorcycles.